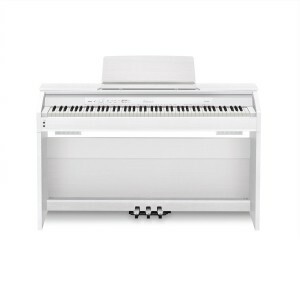 The pianos presented in the table above are a selection of the wide range of digital pianos available on the market right now. A great number of manufacturers produce extraordinary pieces, with some new brands rising strong, but some of the best digital pianos on the market today are made by Casio and Yamaha. 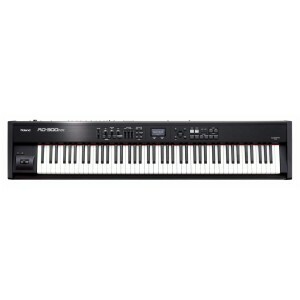 Out of this wide range available you will easily figure out which is the best digital piano for you, with some help and guidance. For those of you still not entirely convinced by the quality of these products, read about the important aspects when choosing a digital piano. We would like to underline the fact that these are the top 5 selections based on our opinions. You might discover a better fit in a model that we didn’t include in our table above, in which case you can read more about various models in our reviews section. 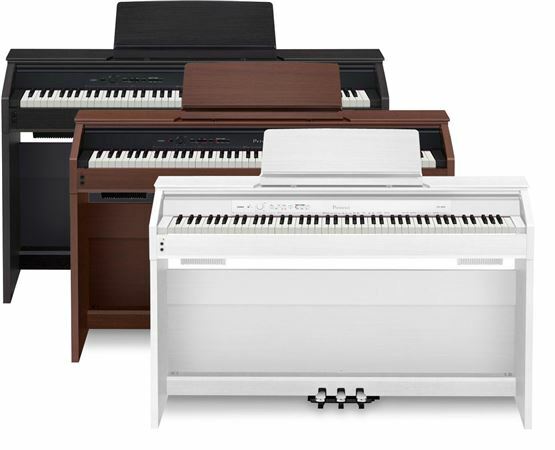 Although there are a number of options when it comes to digital pianos, the ones we rated as being among the best will surely make for a wise decision from so many points of view. Let’s look at those that we liked most. One of the most important deciding factors is the value you get for the price you pay. You should never feel like you overpaid, but at the same time, if you want quality, then you shouldn’t necessarily guide your choice towards the lowest price. The aim is to get high quality for a price that is within reason, considering the purchase that you’re making. This is something where Casio PX850 shines. 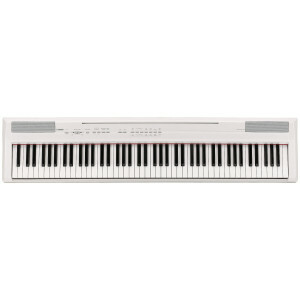 Its main strengths are sound quality and the nice feel & touch of the keys. It’s also a great replacement for an acoustic piano because it offers a comparable experience, but without the tuning and maintaining that is both costly and inconvenient. To find out more about the PX850, read the full review. Yamaha is a big name in the musical instruments industry. They make acoustic grand pianos which are among the finest in the world. Their digital pianos are quite impressive as well. Many models are among the high end but there are also some that score extremely well in value for money. 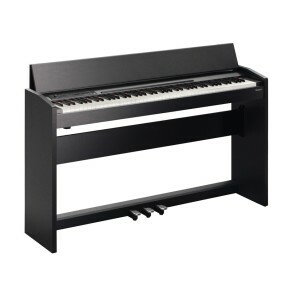 Yamaha P105 is a great digital piano that has an incredibly competitive price. The sound is sampled from a Yamaha grand and the feel of the keys is good as well. 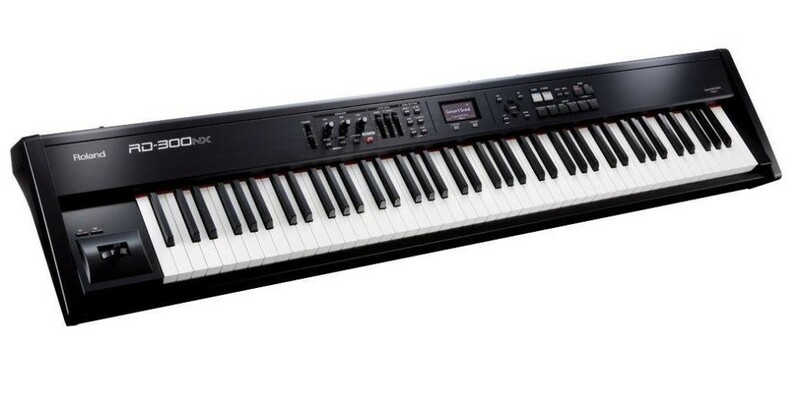 Although, we think it’s not as good as the Casio PX850, it still is a great digital piano. If you want more details, read the full review. Roland is a big name in pianos too. The RD-300NX is perfectly suited for anyone looking to perform in front of crowds. 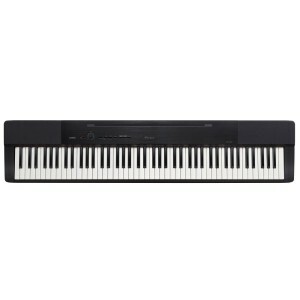 It’s a professional digital piano that is the best fit for if you are more advanced. It’s easy to move from one place to the other if you want to perform in different locations. We’re not necessarily saying it’s only for professionals. If you’re a beginner it’s a great instrument to have. Especially when you’re just learning to play the piano, it’s important to practice a lot, so this makes for a great choice because you can take it wherever you go. It also has many features that will surely keep beginners glued to it. If you want to see if this is what you search for, read the full review.